Ghana is not known for many innovations, and so inventions are limited or almost non-existent. And yet there’s very little support for people who have exhibited rare talents to be nurtured to reach their full potentials. But here is a young under-privileged but talented electronics student designing some useful devices in his own small way. 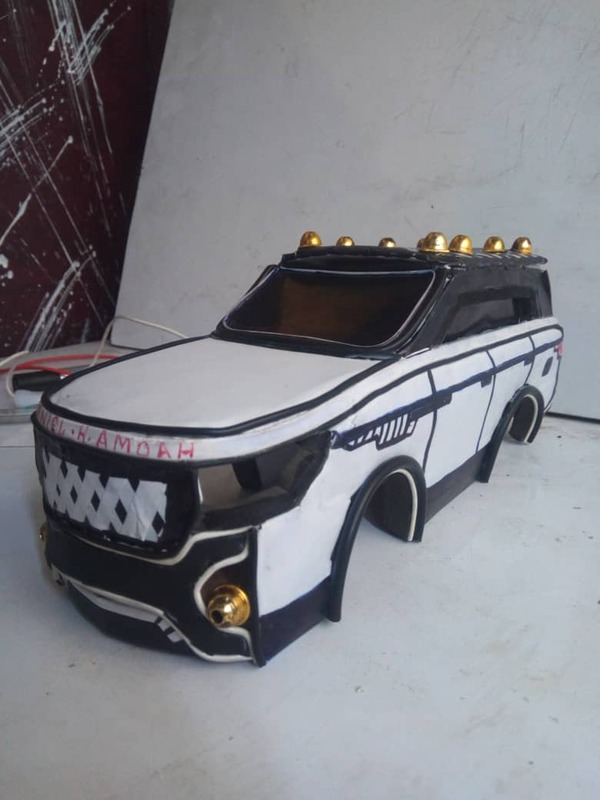 At Twenty One (21), Daniel Amoah, who’s in his second year studying Electronics at the Don Bosco Technical Institute in Tema, has created a light-censored home theatre set and a model car. His devices are quite unique because they operate when light falls on them. This came as a result of an initial plan to construct an equipment that is sensitive to darkness. 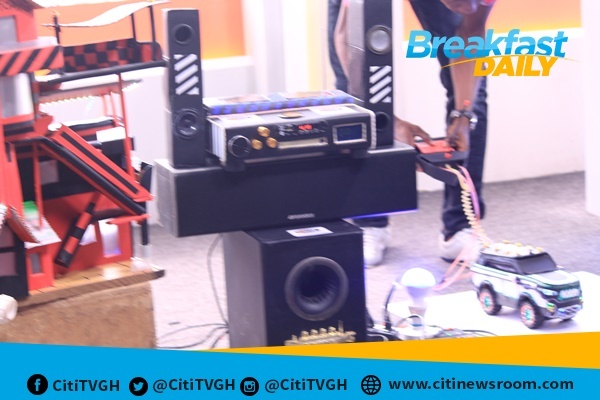 Speaking on Citi TV’s Breakfast Daily Show, Daniel said he started shaping his talent at age eight (8), using waste materials he picked up from the streets and transforming them into useful products. 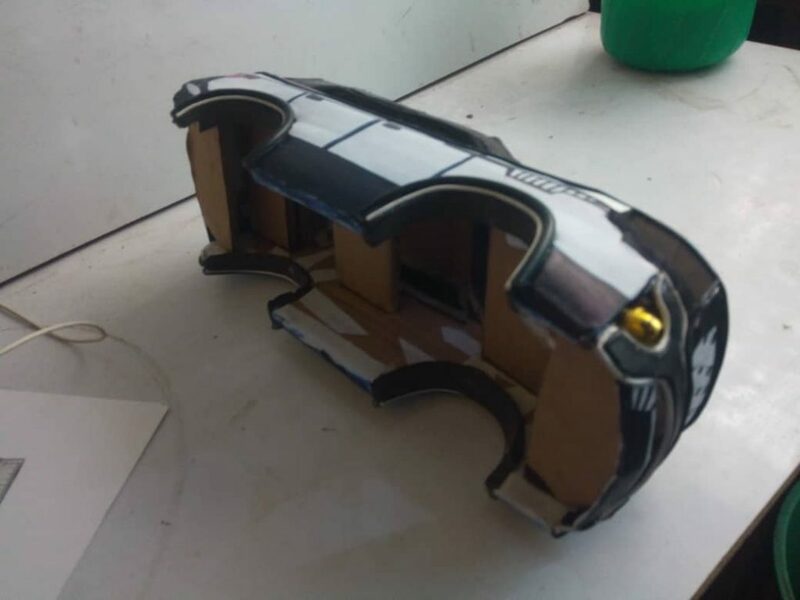 The light-censored model car for instance is made of card board and not the usual metal. It uses a wiring system and a light remote control also made by Daniel. 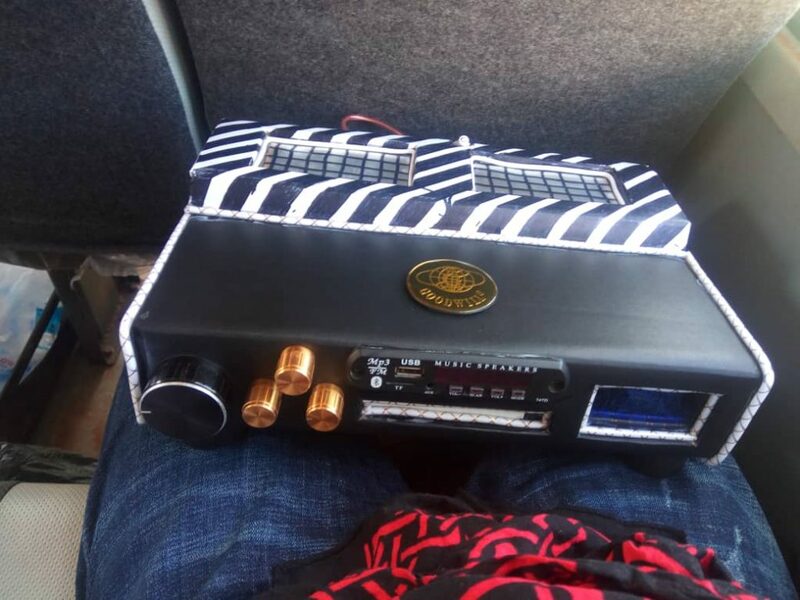 Daniel’s functioning Home theatre has radio, a pen drive and memory card system, Bluetooth and Aux. Another of Daniel’s innovations is a water level indicator poly tank that automatically gets filled when empty and blows an alarm when full to capacity. 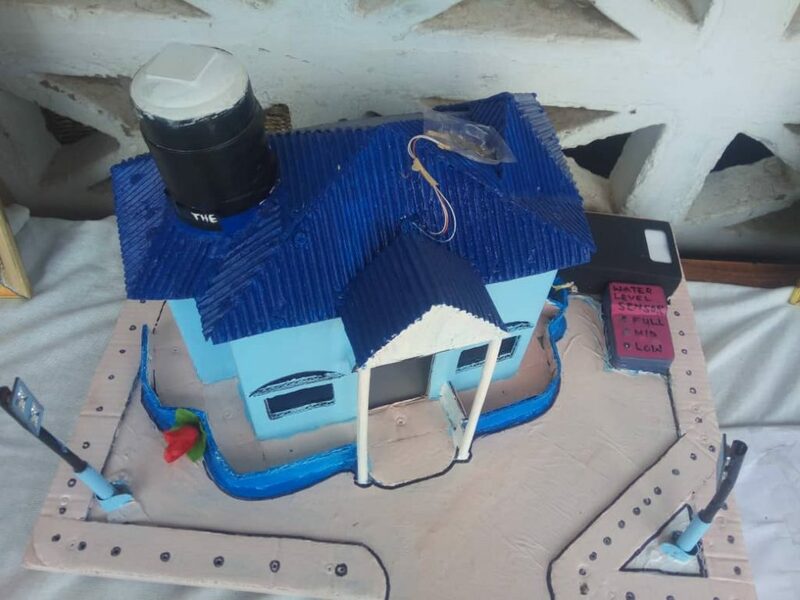 The model building that has a polytank with the water level indicator. He is also working on what he calls a flying car and an aeroplane. 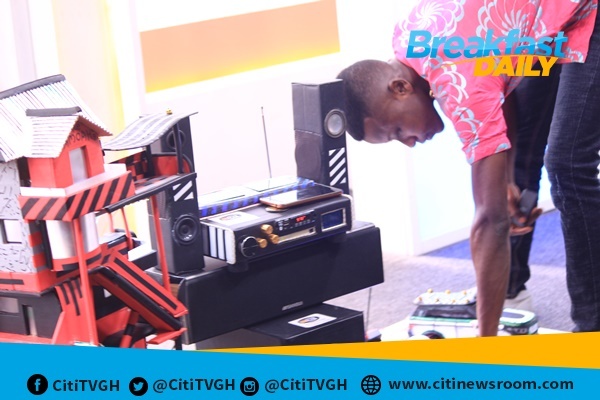 Daniel showcased and tested his devices live on the Citi Breakfast Daily to the admiration of viewers and his hosts. 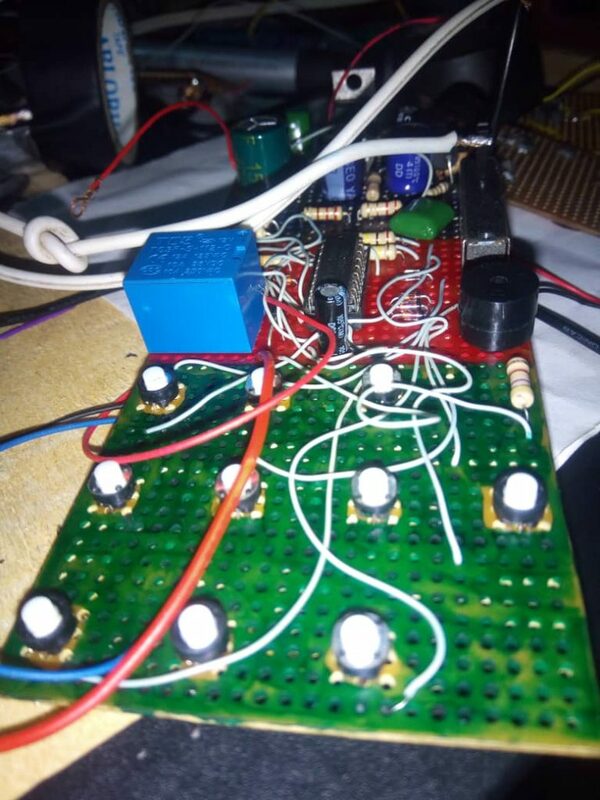 The aspiring electronics engineer tops all practical sessions in school because his ideas surpass that of his mates. 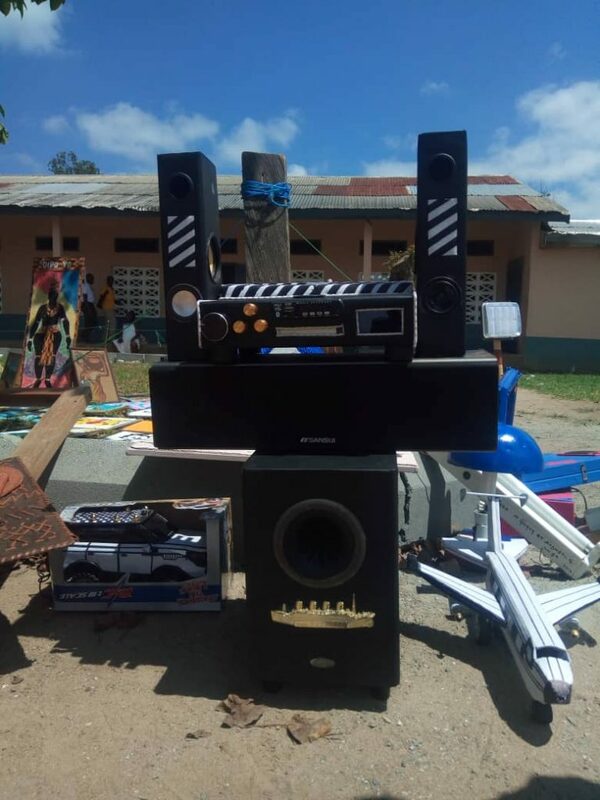 He recently led a team from his school to compete at an exhibition in Koforidua in the Eastern Region, and they came out second, with most of the items presented made by him. Daniel Amoah’s items displayed at the exhibition in Koforidua. For him, encouragement from his brother is what spurs him to do more than expected. Daniel is looking forward to greater opportunities and support in the near future to hone his talent so that he can reach his full potential as he goes through education. In the meantime however, Daniel is prepared to collaborate with government to provide street lights in his community. The making of the model car. But for the timely intervention of CITI FM’s Citi Opportunity Projects on Education, (COPE), Daniel Amoah, an orphan who lives with one of his two older brothers in Ashaiman near Tema, would not have been in school. Although the COPE initiative caters for brilliant but needy SHS graduates going to tertiary, Daniel is the only person to benefit from it at the secondary level due is his extraordinary skills. His creative ability confirms that it is far better to be exhausted from success than to be rested from failure. COPE has been instituted to support the tertiary education of brilliant and needy Senior High School graduates. COPE is a Corporate Social Responsibility initiative programme under the Citi Foundation in support of Ghanaians in need of support. It is an initiative that seeks to provide full scholarships to brilliant but deprived students to further their education. Between 2014 and 2016, the project expended an average of about GHc 5,000 per academic year on one beneficiary. Through donor support, COPE has managed to cater for a number of students in the country.